Hi DIYers! Today, we're taking a look at the Honeywell Lyric C1. This is an affordable and effective security camera that makes for a solid addition to any home. It is very easy to set up, and it offers 720P HD streaming in real time. Overall, the C1 is a great camera for basic indoor use. 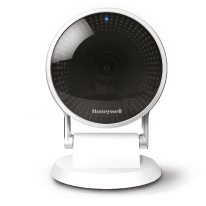 The Honeywell Lyric C1 is part of the Honeywell Lyric HD Camera Series. These are are the latest cameras designed for use with Honeywell's Total Connect 2.0 interactive service platform. 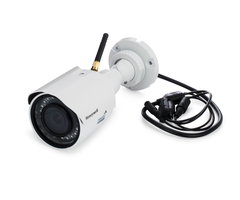 They are great for anyone with a Honeywell Panel and access to Total Connect who wants to get started with security cameras. Although the name "Lyric" implies that these cameras are designed for use with the Honeywell Lyric Controller, they also make great additions for the Honeywell LYNX Touch Panels and Honeywell VISTA Series Panels. The user just needs access to Total Connect 2.0 and an alarm monitoring plan with video surveillance. Although there is no way to view the live feed for the camera right from the panel, a user can access the live feed from Total Connect 2.0. This includes both the website version and the mobile app version for Android and iOS devices. The mobile app functionality is particularly impressive, as the user can pull up their Android or Apple smartphone and view the live feed for their Lyric C1 from virtually anywhere in the world! This is ideal for a person to get a quick view of their home while they are away. Out of the Honeywell Lyric HD Cameras, which also includes the 1080P Lyric C2 and the outdoor Lyric OC1, the Lyric C1 represents the most affordable option. It is a 720P HD camera designed for indoor use. While it can be mounted to a wall, it can also be conveniently rested on a table or a desk. As a result, no tools are needed to install this camera. The user just needs to pair it with their Total Connect account. This simple process is outlined in this helpful FAQ. 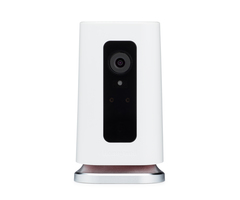 Some features for the Lyric C1 include its 135° viewing angle and its night vision range of 16.5 feet. It is best-suited for small to medium sized rooms where it will be able to pick up any activity that occurs in dark settings. Many self-monitored users will set up the device near a smoke detector so that they can see if there truly is a fire in their home before contacting the fire department. It can also be useful for determining it an intruder is really present after a motion sensor has been triggered. Indeed, there are many fantastic possibilities from this simple, yet effective camera. The Lyric C1 is available for purchase from Alarm Grid right now. Get started with video surveillance or expand upon your current camera lineup with this affordable, yet surprisingly robust, home security camera!